There is an 'Activity Block' each day. 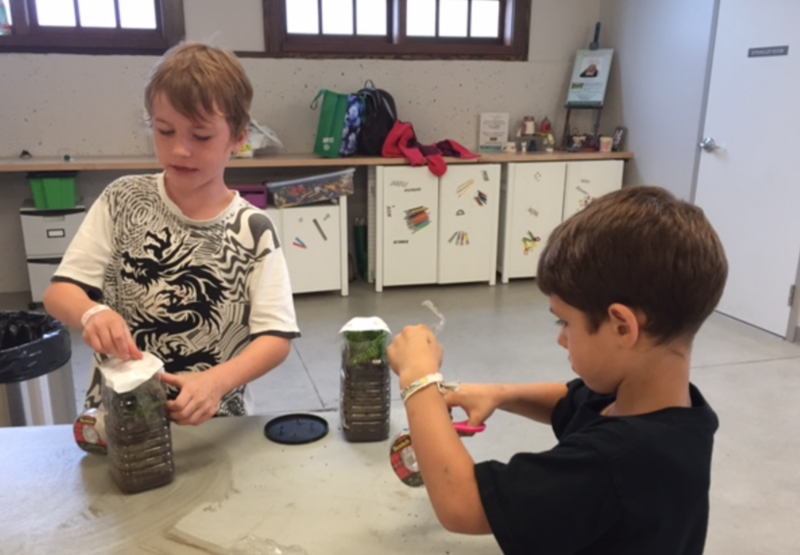 Rock Art, Scavenger Hunts, Surveys, Bug Hunting, Terrarium Building, Geocaching and more. 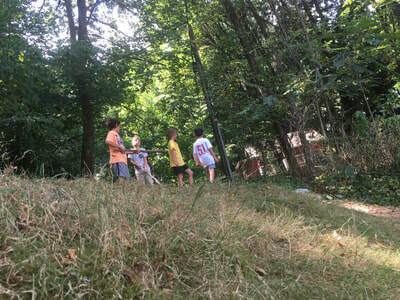 Our outdoor science offers a mix of structured and unstructured activities, allowing children to use their imaginations and learn appreciation for nature and the outdoors. Students will become familiar with local flora and fauna while they take part in listening and awareness activities. The Power of the Word We - This activity is a hands-on learning opportunity working on community projects and learning social responsibility. This year we will likely focus on Noons Creek Fish Hatchery and other charities in and around our community. Children will experience the feeling of helping, will participate in the steps necessary to take action. In the process, students will learn about the various needs of children and families right in our area. ​Crafts and Games Time - When not outdoors or involved in planned activites, the children have access to craft supplies, puzzles, games, books and more. ​Sometimes the craft is an organized activity, where the students made 'products' ( including home-made colouring books, ceramic ornaments, and jewelry) to be sold at the Winter Treasures Exhibition and Sale at Port Moody Arts Centre! Other times, the children choose their own craft supplies for their own creations. Financial Awareness - You are never too young to have fun while learning about the value of money, the power of investing, and the concept of loans and mortgages. Through adaptations of the game 'The Price is Right', combined with 'Monopoly', and 'Rich Dad Poor Dad's - Rat Race', we help the students learn about these financial concepts and more, while honing their math skills and learning about team work. Students of different ages take away different concepts while playing the same games.